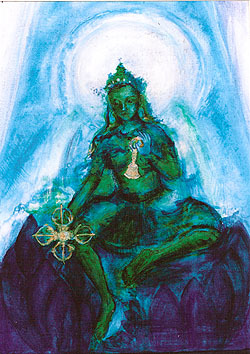 Green Tara embodies the activity of awakened compassion. 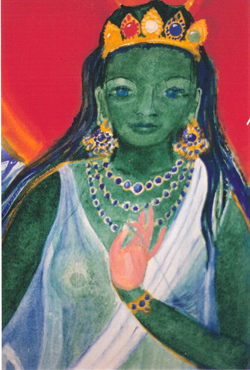 She's both popular and accessible. 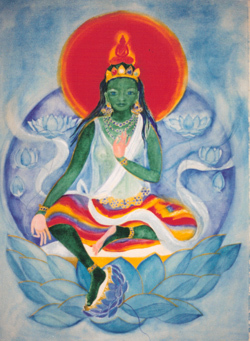 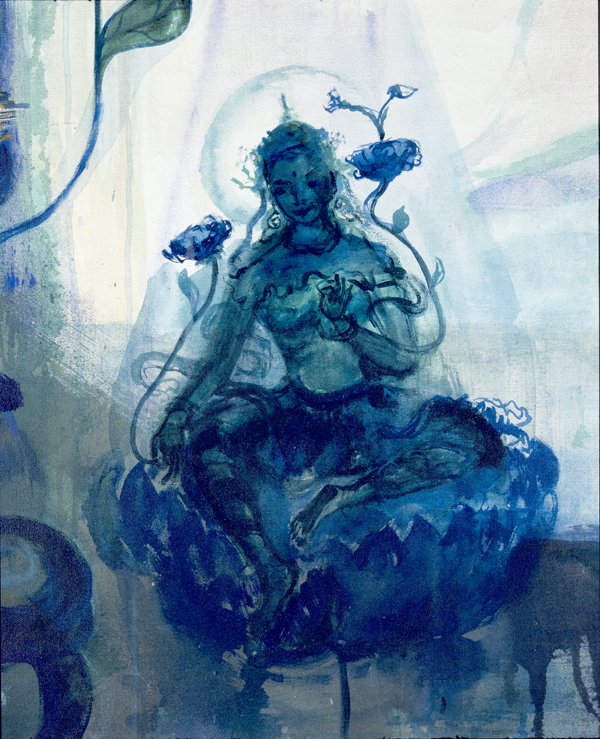 It's not surprising that I've had more commissions to paint Tara than for any other bodhisattva. 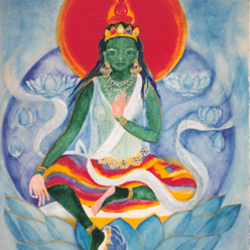 She is unique in belonging to, not one, but two Buddha families. 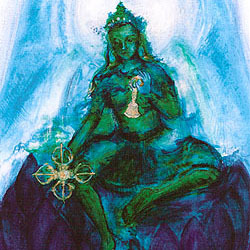 She appears as a female Buddha, consort to Amoghasiddhi in the Karma family and as a Bodhisattva in Amitabha's Padma (lotus) family. 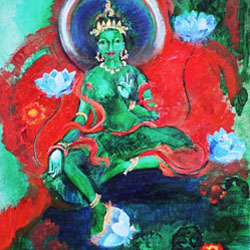 These paintings keep Tara's traditional gestures. 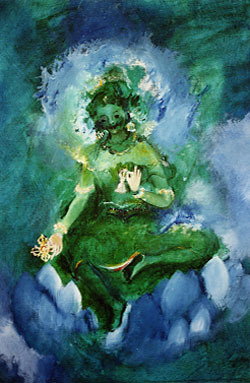 For example one leg steps down into the world and the other leg is placed in meditation posture. 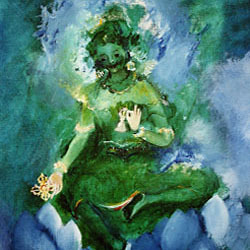 One hand stretches out in the mudra of generosity and the other is lifted in a gesture signifying fearlessness. 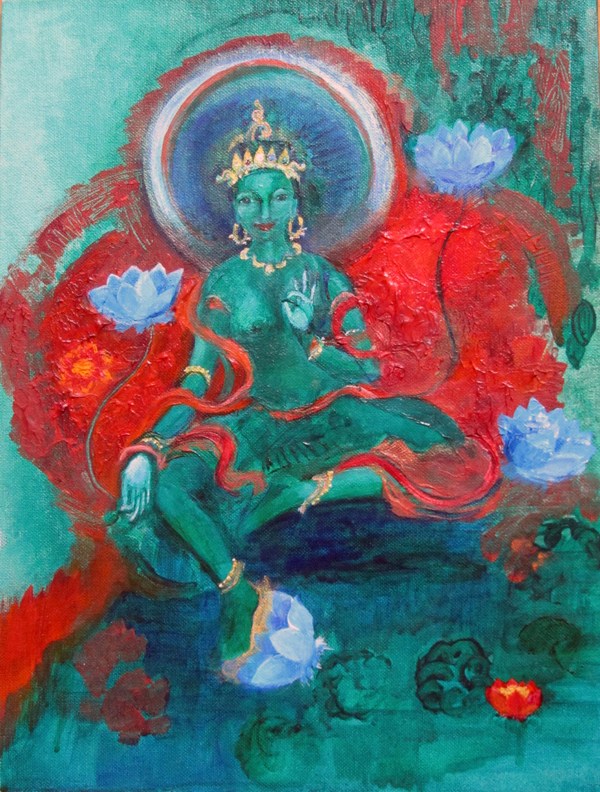 Although tradition is honoured and included in the work, the handling of paint and the formal visual language used owe more to European art influences than to the Indo Tibetan style of Buddhist icon. 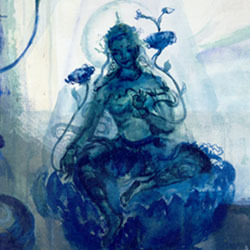 These forms are offered in the hope that they make a contribution to the ongoing translation of the Dharma into forms that are useful for Western practitioners.